We stand in a time where long-standing sexual abuses, of the famous, the lesser so, and not at all, are having their stories shouted in an attempt to throw off the yoke of the system of power and control that has kept them quiet. We’re all binding together, stating, yes, #MeToo. In theory, it is infallible. In practice, however, it seems we fall victim to a very typical problem. Apathy. Since #MeToo was born of (and is still powered by) Hollywood, they, from a moral standpoint, lead the way for all of us. Who they out is who we out. However, because it’s Hollywood, it’s a movement also subject to star power, and according to one recent study, it is certainly a problem. Simply put, we care, but not enough to change our viewing habits. While we might be angry in the streets at these men, in the sheets, we’ll still happily watch the shows they star in. According to a recent survey undertaken by The Morning Consult, the effect that it has had on many is negligible. The survey asked respondents how much more likely they are to see a film or television series if it included a specific actor, then gauged whether allegations of sexual misconduct would impact that decision. James Franco, Aziz Ansari, Casey Affleck, Jeffrey Tambor, TJ Miller, Louis CK and Kevin Spacey all starred on this list. 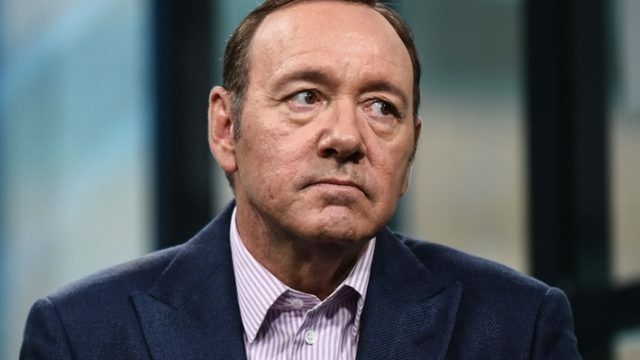 Of the 2,200 polled, only Spacey and CK were deemed reprehensible enough to forever change viewing habits of the pollsters. The Morning Consult also spoke to Susan M Tellem, a partner at a Los Angeles PR firm, who noted that “people forget, forgive, or don’t even know” about these allegations. Tellem also pointed out that “…the American public is pretty forgiving when it comes to bad celebrities,” especially if the actor in question was already liked by viewers before allegations were made. Which sounds very much like the thinking that prevailed prior to #MeToo. You could argue that the culture of the misbehaving entertainer is one that has lived so long it’s a difficult process to break in the mind of the viewer. I personally, despite my distaste for the man himself, still treasure the films of Roman Polanski. Recently, I met someone, let’s call her Becky, who cobbled her own list of celebrities that were legitimately “dead to her” – a list which bore the name of the aforementioned film-maker. Becky was roundly criticised for automatically castigating Polanski for his crimes without bothering to watch his movies. With the separation of the art and the artist the way that we compartmentalise the crimes of the creators, Becky seems to be the minority. #MeToo is an extremely important social movement, but is it enough to change the bigger one? The one that we use to escape our own reality? Well, according to 2,200 people… maybe not.